Are you excited to make the Chilton Trench Coat? 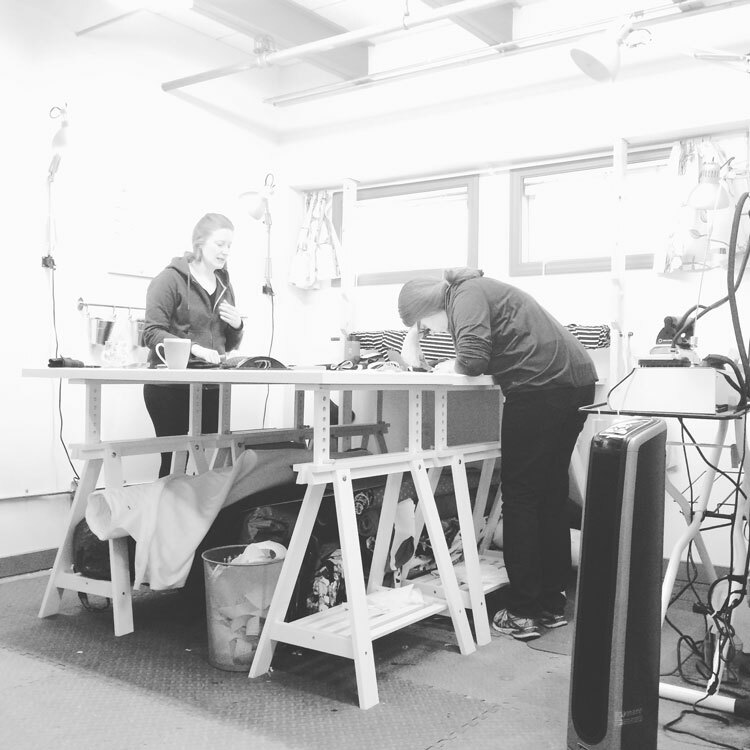 A key to success is getting the right kind of fabric, so we’ve pulled together some recommendations today so you can see what will work well. As the weight and drape of the fabric are essential, we’d always recommend getting a swatch if you’re using an online retailer, and remember that you don’t want anything *too* thick if you’re going the wool route, or you may have trouble sewing the little pieces like the epaulettes and belt loops. A classic camel cashmere like we used for our sample is a perfect choice for a timeless trench. The blue is a sueded water resistant fabric that would be a lovely all-weather trench. Use a cotton twill in any number of colors for a more economical option! Add some texture or a neutral print for a little interest that remains a versatile piece. The tweed and gingham are water resistant and the polka dots are a lovely light canvas for our warmer climate friends. 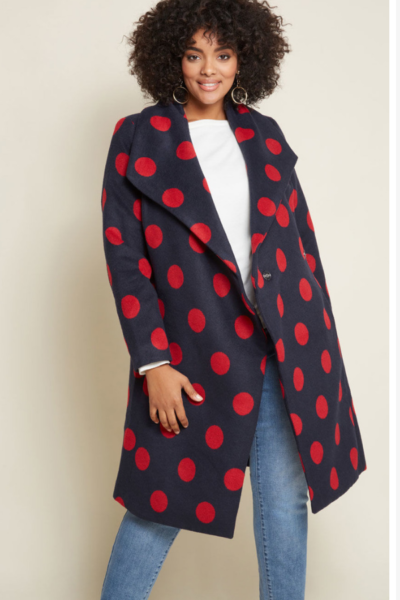 This is your coat so why not go bold?? Make a coat that you could never find in the shops and rock a statement! For lining, if you want to make a warmer coat, use a Kasha satin or flannel backed satin for a little extra coziness. For a basic lining, bemberg rayon is a great option that doesn’t have much static and is nice and light. If you’ve got a classic fabric on the outside, why not go wild on the lining? You can use a lovely silk charmeuse or crepe de chine to make your coat pop. We can’t wait to see what Chilton Trench Coats you dream up! Make sure to share with us on social media using #ChiltonTrechCoat. 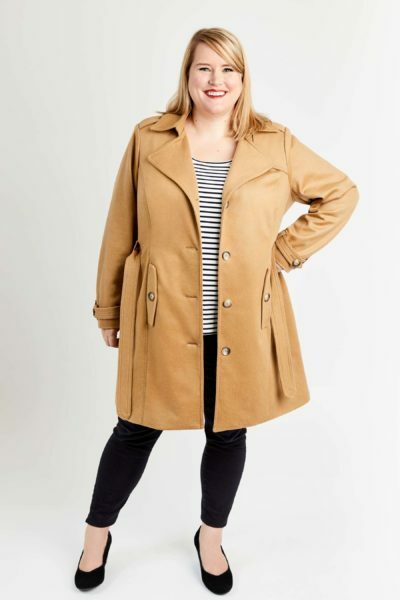 Introducing the Chilton Trench Coat: a curvy and plus size coat sewing pattern!